Only five days until Christmas. And the new year begins the Monday after that. Another year is gone already! My, how time flies. Every year, physical fitness tops people’s New Year’s resolutions list. But what about your financial fitness. If purchasing a Lake Havasu home is among your “must do” for the new year, you’re going to want to get your credit in tip-top shape. That means taking a look at your credit score to see where you can improve it. Search my Featured Lake Havasu listings by clicking on the icon above. Perfection in terms of your credit score means 850. Approximately 0.5% of Americans reached this goal. However, that takes incredible vigilance and budgeting to achieve. Not quite in the cards for you right now? That’s OK. With a credit score of 750, you’ll have lenders beating down your door to make a deal. Don’t know how to get there? Discuss which items on your credit report need immediate attention to bump up your score. Your payment history makes up approximately 35% of your credit score. Any late payments (even just one day) can hurt you. Avoid that by setting up automatic payments for utilities, car loans, debt consolidation, mortgage payments, etc. Just make sure you’ve got enough money in your account so you don’t get overdrawn. Pay Down? Yes. Pay Off? Maybe. Paying down your balances helps boost your score and improve your debt-to-income ratio. This also helps you with lenders when you apply for a loan on your next Lake Havasu home. However, some accounts may be more advantageous to work on than others. 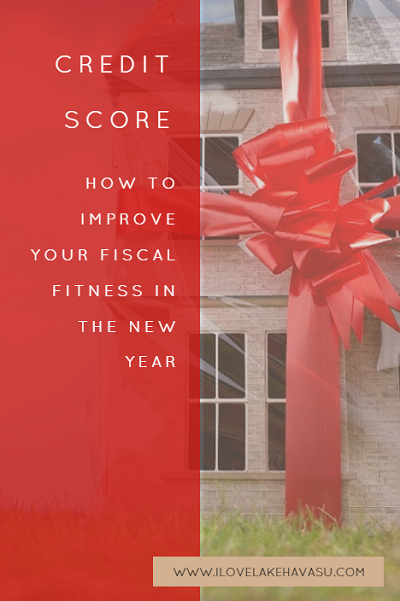 Paying off a couple of accounts while leaving high balances on others might only improve your score slightly while paying down your balances on all your cards could increase your credit score more. And don’t pay off a card and then close it. This alters your debt-to-income ratio, which could hurt your chances at a loan approval. Again, talk to your lender about what accounts you need to concentrate on for the biggest impact on your credit score. Paying off cards is great. However, lenders like to see a responsible use of credit. This means actually using your cards on a regular basis but keeping your balances low. First, get your balances to at least 50% of the limit on any revolving credit accounts. You’ll start to see your credit score rise. After that, work for a 30% balance. Ideally, you want to keep your balances at or below 20%. A higher credit score grants Lake Havasu home buyers access to a bigger choice of loan types as well as better interest rates. That’s why you need to whip it into shape before you apply for a home loan. Start now. When you’re ready to start looking for your next Havasu home, give me a call. I’ll be happy to show you around.